Can you spare a few hours each month of your time, knowledge, skills & enthusiasm to help us? 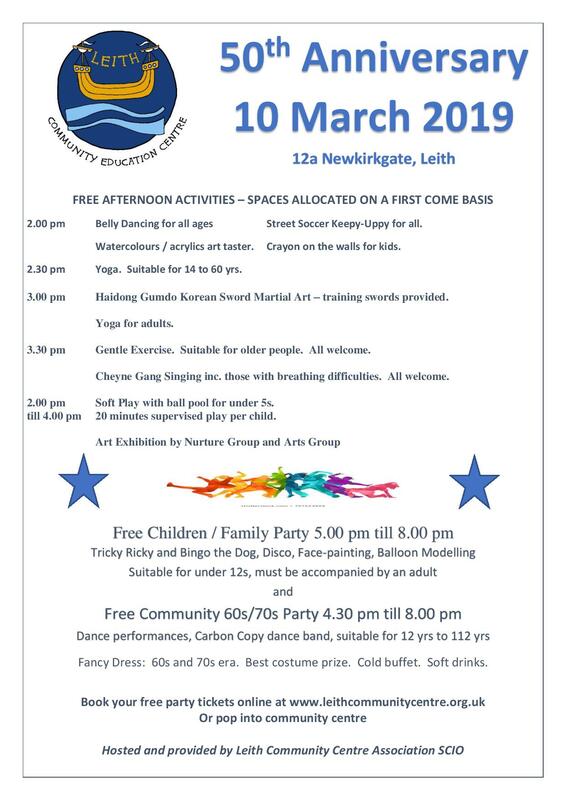 Leith Community Centre is managed by Leith Community Centre Association SCIO, which is a charitable body of volunteers, in partnership with Edinburgh Council. We currently have vacancies for four new Trustees to join us. The role of a Trustee is to run the charity and assist in the running of the Community Centre. No experience is needed as training & support will be provided. Need some support to volunteer such as child care, travel assistance etc? We can work with you to help you fully participate. Interested? Visit the Community Centre office, call us on 0131 554 4750 or email us on info@leithcommunitycentre.org.uk.